Technology is driven by constantly redefining the "cutting edge." Our developments, products and research are revolutionary. Why is it then, that we don't take our industry forward with cutting edge techniques? TechPeek 2018 is your sneak peek into next year's growth strategies to not only maintain, but boost your tech business' competitive advantage to their peak. The methodologies that so many other industries passionately embrace are ripe for adoption in tech. More than this, the very nature of the industry means that we can use these strategies even more powerfully than anyone else. The Australian technology industry is perfectly positioned to lead the country forward, considering major industries like mining are on the decline. With major US technology companies accomplishing a market capitalisation larger than many countries, there is clear potential for the Australian technology industry to grow. However, a look into the daily workings of a typical Australian IT or technology-facing company tends not to reflect that we are on this path. Tech Peek is hosting its inaugural event this April, bringing together IT and technology-facing companies and people in the industry who are interested in being part of leading Australia's technology industry forward. What would our industry look like if it were purpose-driven? How would we act and perform differently? How would we communicate ourselves and our values differently? How would it change how we support each other and collaborate? Tech Peek looks at transforming the conversation from being service providers and suppliers to being the catalyst for change and innovation in the country. This is of course a self-development opportunity and chance to develop your tech business strategy. It is also an opportunity to meet like minded individuals to form new collaborations, partnerships and more. Important: the evening will involve a number of interactive scenarios to allow you to apply these strategies to your own business. Everyone in attendance will walk away with tools with which to drive their own growth in 2018. 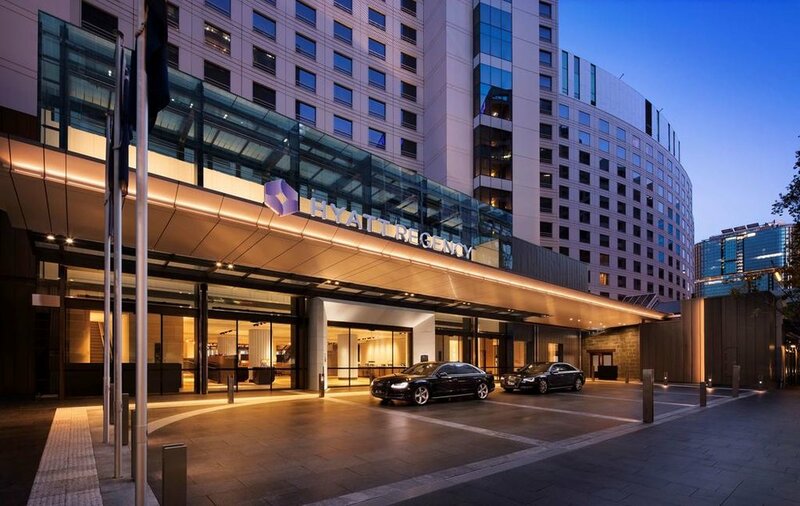 Located adjacent to Darling Harbour in the Sydney CBD, the Hyatt Regency is a world-class venue befitting an event like TechPeek 2018. Sydney's largest premium hotel is conveniently located in walking distance to Town Hall station and directly across the road from a Wilson Parking station. TechPeek 2018 is the event that will change both your business and your personal trajectory for 2018 and beyond. Secure your tickets now!